Epic Games is going to release some huge changes for Fortnite Battle Royale on Tuesday, January 22. 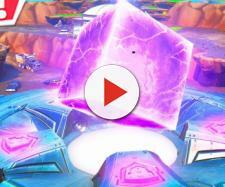 "Fortnite Battle Royale" developer Epic Games has recently released a couple of huge updates for the popular video game. The v7.10 patch had three content updates, and the last one was huge. The game creator has also done a great job with the v7.20 patch, bringing a new weapon and numerous balance changes to "Fortnite." Now, it is time for another patch, and judging from what we have found out so far, it is going to be another big update. The v7.20 patch was released on Tuesday last week, so now it is time for the v7.20 content update. Data miners have revealed some of the things that could be added with the upcoming update, but Epic Games has also published a few details ahead of its release. The upcoming content update is going to be big, and it will add many balance changes that are necessary. Epic Games has been very busy with "Fortnite Battle Royale" updates lately. Beside the last few updates, the video game developer has released another in-game event. This event happened on Saturday, January 19, and players were able to witness it live. The live event featured the Ice King turning the entire in-game island into a snowy area. This was a huge map change, and it is tied to the upcoming content update. The video game developer will release the Sneaky Snowman item with the v7.20 content update. This is going to be another item used for stealth and will be similar to the Bush. Considering that the entire map is covered by snow, we can expect Epic Games to vault the Bush, at least until the snow melts in certain parts of the island. Coming this week: small tweaks to shield availability, a reduction of mobility (item & vehicle spawn chance), and a few more vaults... including Quad Launcher. Eric Williamson, "Fortnite's" Design Lead, has revealed a few more changes that are coming with the content update. There will be small tweaks to shield availability, which has been a huge issue since the v7.20 patch. Additionally, the video game developer will reduce the amount of mobility items available to players. This will mostly affect item and vehicle spawn rates, but there is a chance that the developer vaults Shopping Carts. After all, Williamson has revealed that a few more items are going to be vaulted with the update, including the Quad Launcher! The v7.20 content update is going to be released on Tuesday, January 22, at 8 AM Eastern Time. Considering that this is just a content update and not a patch, there will most likely be no need for a client update and there will be no server downtime.